The Iconium team creates compelling and engaging visual stories. We work together, complimenting one another's skills. Our team consists of: Zachary Walter, Jr. Designer; Denver Capcara, Filmmaker; Dana Franklin, Content Specialist; Kaylin Schenk, Jr. Designer; Karen Schenk, CEO; Chantal Beaudoin, Content Developer; Adam Hutlet, Filmmaker. Missing: Cheryl Purschke, Sr. Designer. If you really want to engage your audience so that they cannot help but engage with the message or service you offer, you have only a moment to capture their attention. Once captured, you need keep it. We have found these tips helpful in creating media that elicits a response. A beautifully shot cinematic film or photography will stun you with its spectacular beauty. The combination of well framed shots and perfect music can make ordinary things look spectacular. A well-written script captures your attention and leaves you riveted and deeply engaged. You know those times when you clicked away because somehow the story or the visuals lost your interest. You don’t want that to happen. What is it about media that makes it work? How do you know when the piece has “IT”? What exactly is “IT”? Capturing emotion in film is a huge challenge. 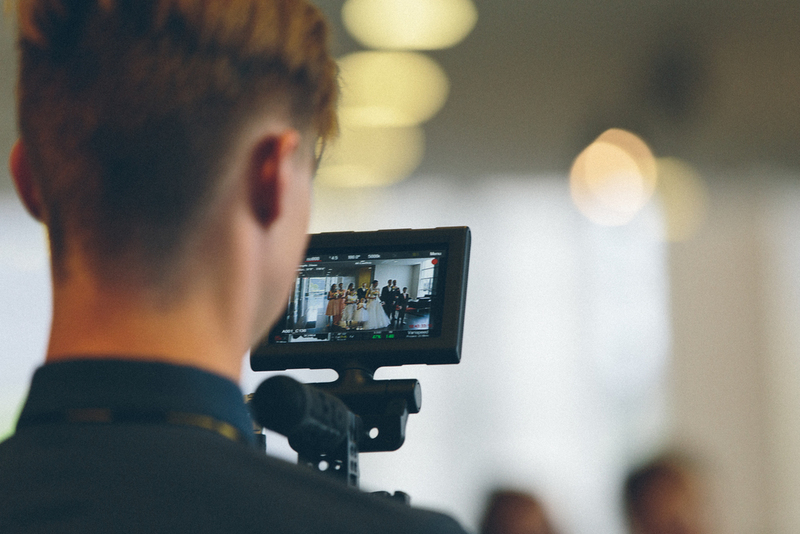 There are many key factors at play that storytellers face, however, there are several things that can be done towards keeping your audience engaged. The backdrop, the props, the details and the stage create the context for the story, whether told on film or in your photos. As a script is being written, help people frame your story and help understand what the story is part of. Show the big picture and help them grasp what is about to happen. On film, this involves showing shots that give context. The story needs to be positioned and anchored. This story is being told on your website, your social media presence and in your print material. There are key moments that take place in any story. It may include a frown, a tear, or a flicker of anger. It’s there one moment and then gone the next. To capture these moments on film, the cameraperson needs to anticipate, and to feel what is taking place. They need to be prepared to zoom in tight as the emotion heightens. They need to be familiar with the story so they can anticipate what might happen. Many of those 1-second moments are caught on camera because someone’s emotional engagement was high enough to feel the story. As they felt it, they caught it on camera. They were intentional. The camera captures the footage, but even the most beautiful filming does not result in a powerful story. The real work happens at the editing suite. This is where the cinematic shots, the script, the music and the vision come together. Stay with the story. It’s not just an assembling of footage or positioning a photo. This is where the visuals make the audience feel. If key parts are missing and you still don’t have “it”, this is where you take the time and go get that piece. It matters. The story you are creating needs to be powerful. What do you want people to feel? Will they stay engaged long enough to get there? Understand that people are busy. They really don’t care what you create unless it looks interesting enough to make them click. Then, once they’ve done that, you want to keep them engaged. Keep the story engaging and don’t lose their attention. You want people to engage with your brand, to read your article, watch your film because it is THAT good, not because it is THAT bad. You want them to feel powerful emotions and to engage in the solution that is presented by that film. Create compelling media elicits a response. Do this in film, print, photography and in every single product that markets your organization. People will respond when they feel. Whatever widget, service or message your organization wants to present and sell, the answer is in providing relevant, emotional and compelling storytelling. Make it simple. Make it emotional. Make it compelling. According to a report published by Forrester, including video in an email leads to a whopping 200-300% increase in click-through rate. Have you ever wondered how to get your message across in today's over-stimulated and highly digitized world? These findings are true to what Iconium has discovered first hand. By placing the face of the message at the beginning of the story, and then telling the key message within the first ten seconds, while adding subtitles allows the story to be viewed when people are not in places they can have the audio on. The first 10 seconds matter most. Don't try to tell your whole entire story. Think about what your clients need and wants. The faster you capture people's attention, the better. Start with your most captivating contents. Use stunning shots and vivid backgrounds. Put your "hero" up front. Use your celebrity or recognized character on the beginning of the film. Feature the brand early. Facebook notes that ads with brands and the messaging in the first 10 seconds effectively reach 3 x more people. 76% of rated video ads required sound to be understood, according to a Facebook's recent study. Tell your story visually. Create the story so it can be understood without sound. Use text and graphics to deliver your message. Use of text overlay and graphics will help the viewer grasp your story. Use captions or sub-titling. Internal Facebook tests show that captioned video ads increase video view time by an average of 12%. Experiment and try new things. Pay attention to the stats so you can see what is working. Keep the videos short, but make sure it is long enough to tell the story. Keep your goal and objective as the focal point throughout the entire piece. Ensure that the call to action is clear and that your audience knows exactly what to do. Don't be afraid to repeat it! Facebook, Instagram and other social media give opportunities to boost the video. Do your research so that you are creating the right target audience so that the very people you want to market to are seeing the video. Your video is only as helpful as the people who see it. If you don't know how to do this, we are here to help you. 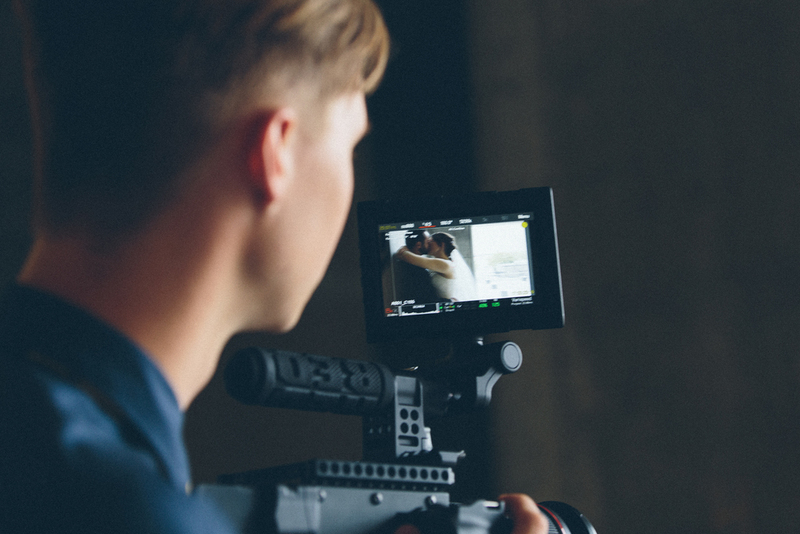 Our filmmakers specialize in telling your story on film in a compelling and engaging manner to elicit a response from your audience. We listen to you, we help you by writing the script with you (or for you), we create the visual concept and work with you so that you are as much of the process as you would like to be. 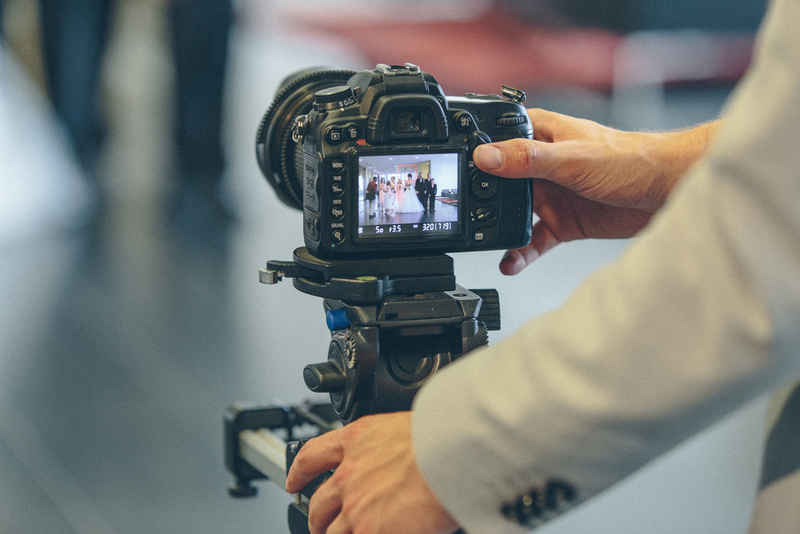 We turn on the cameras, help you tell your story, edit the story and then help you make the piece work for you! Contact us to begin the process! He knew it had always been her dream to be proposed to at the top of Rockefeller Centre in NYC, so when he realized Sarah was going to be in New York the last week of August, he made plans to surprise her! 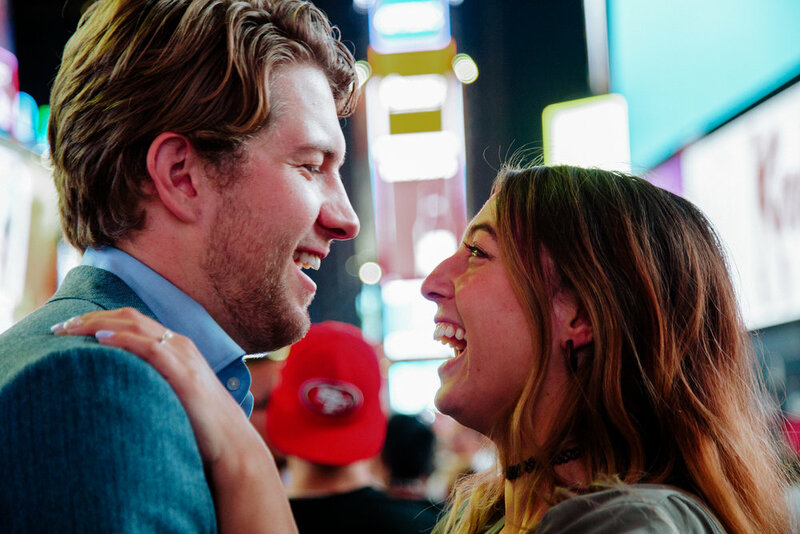 Travelling all the way from Calgary, Alberta to New York City, Brett did everything he could to give her a "rock on the rock", and make her dream come true. Iconium was there to film it. Iconium filmmakers, Adam Hutlet and Denver Capcara, drove to Calgary to journey and document the story of Brett as he travelled to New York. 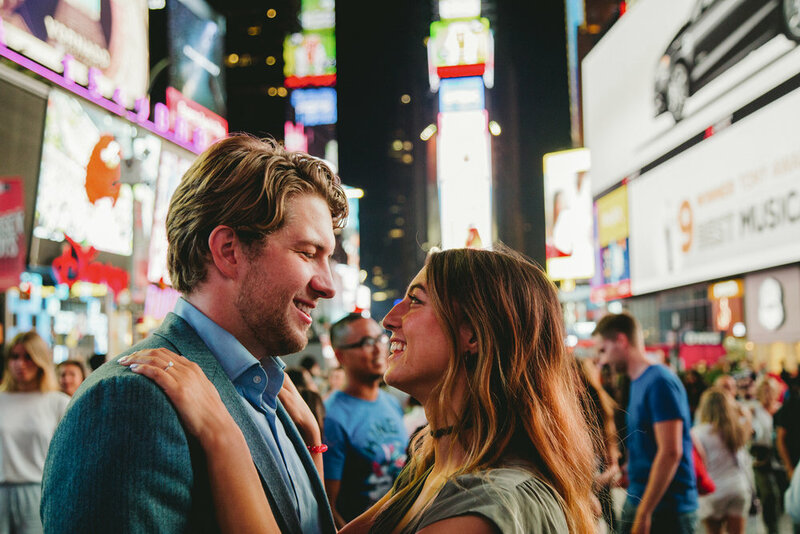 They had the opportunity to capture the incredible proposal, as well as beautiful, iconic, and cinematic film throughout their 24 hours in NYC. From the top of Rockefeller, to Times Square, they filmed and photographed Brett and Sarah all over the Big Apple, finishing with an engagement shoot in Central Park. They finished the trip by assembling a rough cut on the plane ride home, which was presented to a crowd of people at a surprise party upon their arrival. Iconium is hosting auditions for a narrator. If you live in the Sherwood Park or Edmonton region and are a good communicator and comfortable in front of the camera, we invite you to audition. During the audition, you will be given the opportunity to read the script on a Teleprompter. Email info@iconium.io to book a time. Nuvo Series is a digital learning platform where participants are engaged in an intimate, dynamic group experience that walks them through a curriculum that creates Multiplying Churches and Communities. This Christian based curriculum will be used globally and will be translated into many languages. This curriculum represents different nationalities around the world. Each lesson will feature a unique narrator to profile some of the many faces of society. There are 10 lessons in phase 1. Four have been filmed and 6 more different narrators will be required. Narrator: This is the trainer who gives an overview of each lesson in a storytelling manner and sets up the online learning group. This script is pre-written, will be read off a teleprompter and will be complemented with supporting visuals in post-production. She laughed softly. He gazed at her with love and adoration. They had loved each other for many years and had longed for this day. Her eyes sparkled with delight. She was now married to the man she loved. They could begin their ever-after together. Her beauty was radiant. An attractive bridal party clearly celebrated the joy of the couple. 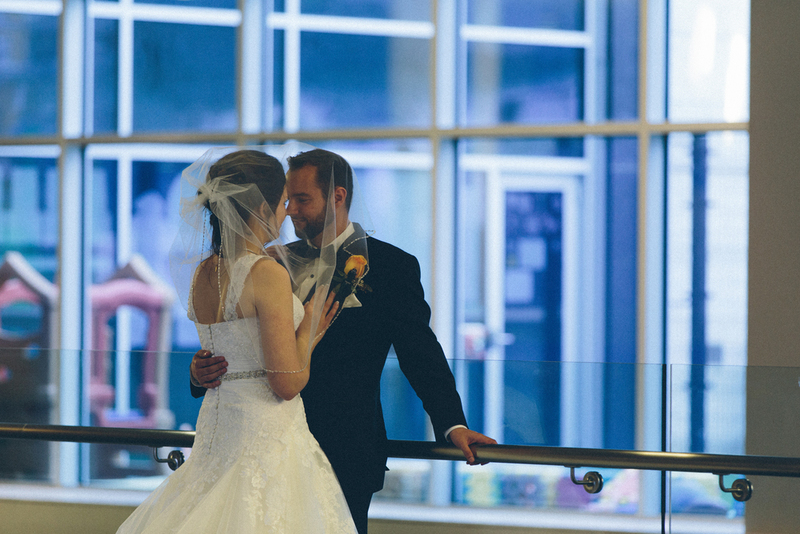 The fun and individuality of Nathan and Noèlle was apparent. A Lego character of Kylo Ren was set in Nathan's boutonnière. He grinned as he talked about this accessory. 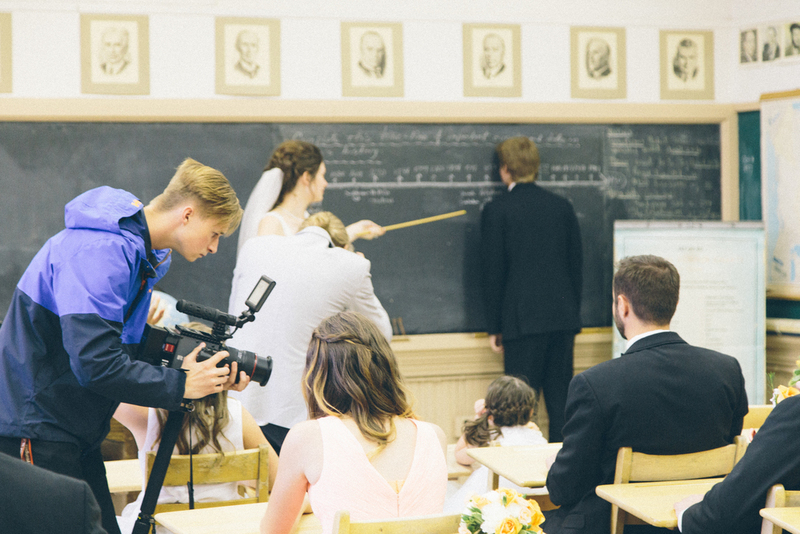 As the bridal party settled into a vintage classroom in the MacKay school, Noèlle took command and proceeded to bring order to the class. Most attentive of course, was the groom. 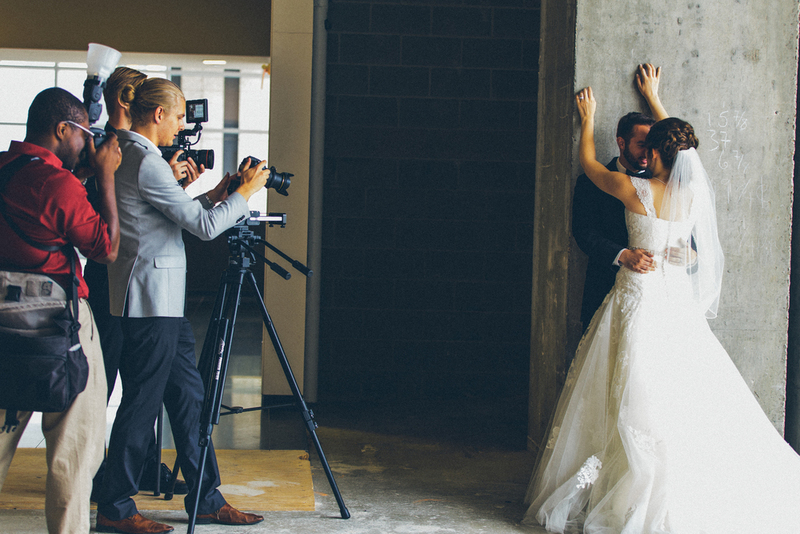 Iconium filmmakers, Denver Capcara and Adam Hutlet capture the emotion and heart of many of these moments as they create a mini-documnetoary of THE LOVE STORY, our Platinum package. 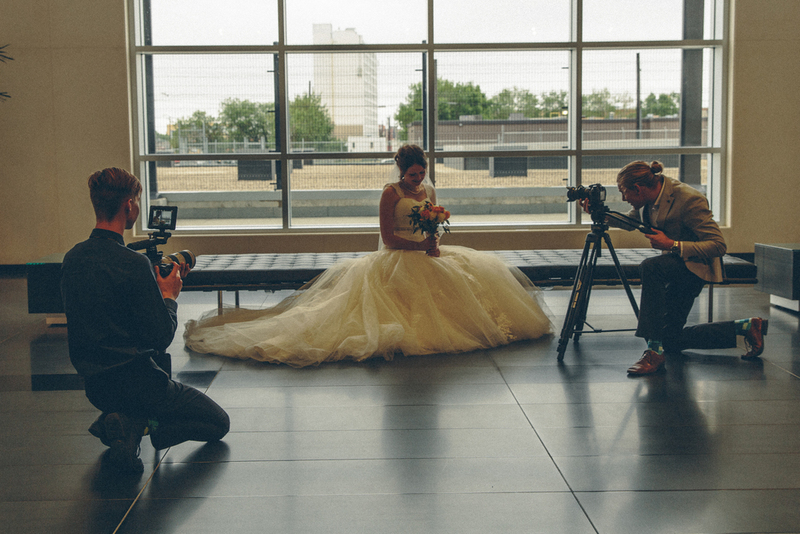 Enjoy these behind the scenes photos of a beautiful wedding day. Learn more about Iconium weddings. Entrepreneurial leaders are highly motivated and driven to fulfill their mission and calling. They explore multiple ways to accomplish their goals and do so in a passionate way. It won’t work is not a term that is in their vocabulary. If an entrepreneurial leader is clear of a direction, they vigorously pursue it. These leaders surround themselves with people who will help them accomplish their goal. Not everyone is a "blank paper person"
Many entrepreneurs are "blank paper people" and they enjoy creating something out of nothing. However, there are many who people need a framework and reason to align with someone else’s goals. They are not necessarily the “blank paper people”. They are often more than willing to commit to a role and to help accomplish a corporate vision and are willing to lead towards that goal, they need motivation. Much of that will come within, but unless a leader empowers the leaders who work with them, the vision and passion will begin to wane. I’m a highly motivated person. I commit to things that I can become passionate about. I have a strong belief, which is also an Iconium value, that work is fun. When people love what they do, motivation and drive increases greatly. I’m committed to increasing and inspiring motivation in the people I have the opportunity to lead. Leaders need to be affirmed and recognized. It’s important to know what it is that communicates that to each person. People vary in whether they are publicly or privately affirmation and whether with words or gifts. It’s important to know the team members and what speaks to them individually. It’s of value for leaders to have an annual incentive plan to work towards. For them to see that their contribution towards success results in a bonus is significant. It’s challenging with a start-up to think in terms of long-term incentives, however, it is key to begin conversations and thought processes. It’s important to answer the why for a leader as to whether they would stay for the long haul. Leadership development through training and experience is a gift that can be given to every person on the team. This needs to happen deliberately and intentionally. There needs to be room in the budget to accommodate this type of development. It can be done in a way that it is a highly incentivized perk for staff. There has been a dramatic shift in leadership competencies over the past few years. People need to collaborate, be relational, technologically adept and attuned to diversity and to culture. Karie Willyerd states,” but the biggest change the 2020 workplace will present is the most age-diverse workplace: by 2020 there will be five generations in the workplace at once. From Traditionalists born prior to 1946, to members of Generation 2020, who will begin entering the workplace in 2015, leaders will be charged with meeting the wide range of expectations held by each generation.” Willyerd goes on to express five key skills needed for 2020 leaders. They are: collaborative mindset, team development, tech savvy, globally focused and culturally attuned, and future facing. Each of these competencies are of great value to me personally and to our company. Leaders who are engaged and high performing will help a company become successful and transformational. Prior to sourcing leaders, one needs to be clear what they are looking for. Once you’ve hired the right talent, it’s important to maximize their efforts. There needs to be a goal alignment where leaders understand and embrace the company’s goals, they align their responsibilities with these goals and strengthen their accountability by measuring the accomplishment of those goals. It's important to build a team that aligns with the goals and direction of your company. These are some of the key items to consider. Identify high-quality candidates using job descriptions based upon your requirements. Hire people who are high performing and hold uniquely valued company or industry competencies. Employees need to agree with your values and fit into their distinct culture. Creative companies, in particular, need to hire a careful balance of creative and non-creative. It’s important to have structure amidst the creative and innovative culture, but too little or too much of either can seriously impact success. People stopped. It was too good to be true. A t-shirt for only 2 Euros? Insert coin, out comes t-shirt. This was well worth the time. People stopped by the hundreds to take up this offer by Fashion Revolution. They selected the size of shirt and then were presented with a short and informative video about the true story behind cheap clothing. After the video played, they were asked, "do you still want this shirt or do you want to donate instead?" , 90% of people decided to donate to the cause of helping change working conditions. This story went viral within 24 hours. The message reached over 300 million people in 200 countries in just 7 days! Celebrities like Ashton Kutcher chimed in. The video spoke to the brands and they responded. This powerful ad campaign caused transformation to take place. Take the time to be creative and communicate your message effectively and powerful. You can make a difference. Watch this video and then read the rest of this article to learn how. Powerful advertising tells a gripping story that elicits a response. A compelling need is created for a product or service. This is done best when it is not overtly about that product, but about the beneficial value. In a heavily media saturated society, it takes a unique angle, a highly engaging, or visually captivating ad to capture attention and to trigger a response. These three key steps are key to focus on when creating effective advertising. Both the story and the visual content needs emotionally connect with the viewer. Showing a compelling need that is supported with captivating images contributes to drawing the viewer into the story. The goal is to keep them engaged right until the call to action so that a response is triggered. It’s critical to present a single and simple message. A surprising twist or angle can help to accentuate that message. There needs to be focus and simplicity in the story. It is most memorable when there is a minimal use of substantive words that are presented with clarity. Effective advertising needs to have a clear call to action. The viewer needs to be brought to a place that they will make a choice and the obvious choice needs to be clearly presented to them. It’s helpful to have a single call to action is in mind and woven into the architecture of the ad. Many effective advertisements incorporate social causes. Many of the top awarded Ads of the World engaged with deeply emotional issues such as assisting refugees, freeing child labor, cyber bullying and against violence. While these ads were gripping, they draw the viewer towards a deeper cause to impact humanity. The apparent solution is to engage in the program, service or use of the product that is presented. When advertising engages people, presents and clear message with a compelling call to action, it is doing exactly what it was intending to do. Transformational leadership is best demonstrated in business through clear vision, values and goals and to make changes in a timely manner. In a rapidly changing culture, leaders need to take their organizations through constant change, while maintaining stability. Create a culture of discipline – A team of creative media Millennials will bring with them endless ideas, a distinct dot com culture where there is much less structure and order. This lack of structure needs to be managed very carefully so that the company can become successful. Creative companies become less effective when they begin with disorder and chaos. The outer lines need to be firm and clear, with some clear inner grid lines that allow for creative expression. The impact and use of technology - Technology, in and of itself, does not create transformation. It needs to serve as an accelerator. Many companies seek to adapt to the latest and greatest technology to stay in the game. This not the right approach. A company needs to carefully review what they plan to do, how they want to accomplish their vision and goals and then use the most applicable able and user-friendly technology to accomplish it. Leaders who build into their leaders, and are willing to provide clear vision and direction, while navigating them through change can help them to become even more effective in furthering the goals and vision of a company. When an entrepreneurial leader has clearly defined and understood their personal vision and values, those can serve as the foundation for their team to determine and own a corporate vision and values. As a team is invited to participate in a change management process, they will develop a sense of ownership and motivation. “Success doesn't come from what you have going for your company ... but who. The RIGHT people are your biggest competitive advantage. So the questions become: "What are you doing to attract, train, develop, and retain the RIGHT people? How do you get the best people, the RIGHT people on board?" [i] Ron Haynes. It’s important to know who needs to be on a team, how to develop them and together create and execute the vision that you are called and committed to. There will be times when the right people may not be available. That would not be a time to settle, but to obtain temporary resources to meet the needs and then seek the long-term solutions to build out a healthy and highly effective team.